The incident, which occurred at Ilupeju PalmGroove area, Lagos State, on Tuesday, has sent shockwaves down the spines of many, who saw the suspect, identified as Baba Michael as a responsible man. The suspect, a commercial bus driver, is said to have a four-monthold son and lives with his uncle. The baby was the attraction for the victim. Whenever the girl goes to visit the baby, the suspect would take advantage of her. Nobody would have known about the atrocity, if not that the girl repeatedly urinated on her body during examination. 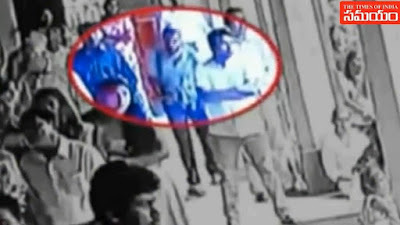 The school management suspecting sexual violation, alerted Child Protection Network. When the girl urinated on herself during examination, one of her classmates alerted their class teacher. The victim’s mother, Mrs. Ka- 18 Soldier flees from Boko Haram war, steals car in Lagos Deserter faya Lawal, said that it was her daughter’s class teacher, who informed her about her daughter’s bladder control problem. “She urinated on herself in the class during exams. It was her classmate, sitting close to her, that first noticed her unusual behaviour. “When her teacher sent for me, she said she thought it was the exam anxiety that made her to urinate on her body. She allowed her to continue with her exams. But a few minutes later, she urinated again. The teacher and headmaster asked me if she had been bedwetting before then, I told them it was long she stopped. It was then I knew something was terribly wrong with my daughter. I started weeping,” the mother said. 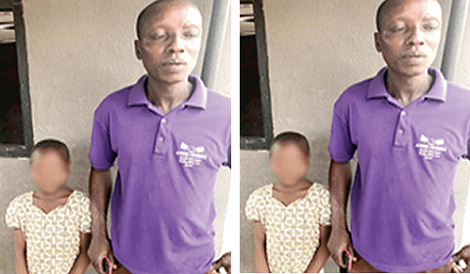 She explained that the headmaster further asked her the person that was fond of sending the victim on errands in their compound, but she couldn’t think of a single person. Lawal had always encouraged her children to be respectful and run errands for people older than them. She added: “Before I got to her school, the management had invited Child Protection Network, a human rights group. After much interrogation, my daughter confessed that it was Baba Michael, our neighbour, who defiled her. Baba Michael just moved into our compound two months ago. He lives with his uncle and fourmonth- old baby. After revealing her ordeal, the victim was taken to Mirabel Centre, at Lagos State University Teaching Hospital (LASUTH), where it was confirmed she had been defiled. The Child Protection Network Coordinator, Comrade Toyin Okanlawon, said that when they received the distress call about the case, one of their members at Mushin was sent to the area and the suspect arrested. The state Police Public Relations Officer (PPRO), SP Chike Oti, did not pick his calls to confirm the story. Rochas Okorocha Reveals The ‘Worst Governor’ Imo State Has Ever Had. Bishop Accuses Buhari Of ‘Sleeping On Duty’, Presidency Reacts.